Unique personalized laser engraved Bible Boxes for that unique person. Use as functional decorative displays, fundraising ideas, bookshelf accessory and bible storage. Design a Bible Box using your images and text, clipart, logos, photos or let us choose a design. 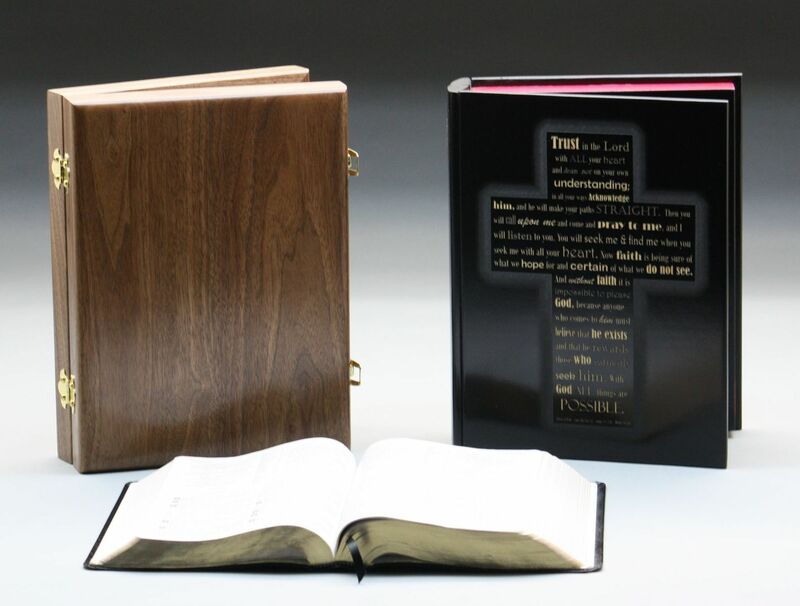 Bible Boxes come in two styles. Plain wood box and box styled to look like the King James Bible. Felt on inside. Dimensions: Outside dimensions: 8.75x11.5x2.375 Inside dimensions: 7.25x10x2.